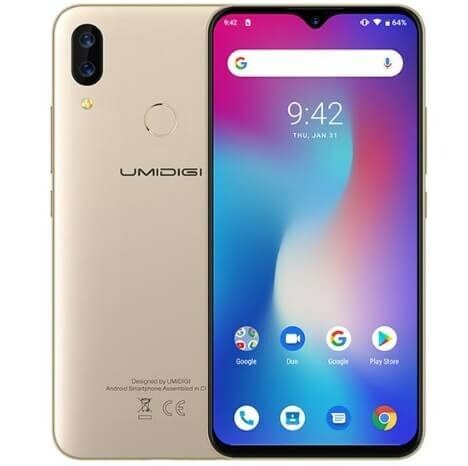 UMiDIGI Power is the latest smartphone from UMi for the month of April 2019. 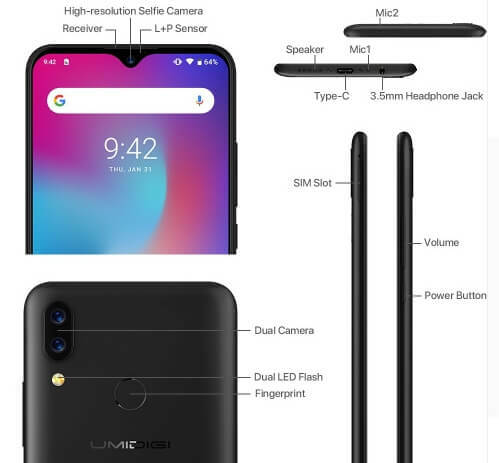 The device, just like many other recent smartphones from UMiDIGI, features a large 6.3-inch Full-HD+ display with the trending Waterdrop notch Cut-out. The display is an LTPS unit with a resolution of 1080 x 2340 pixels. About specifications, the UMiDIGI Power is powered by a Mediatek Helio P35 (MT6765) CPU. This CPU is an Octa-core AI Chip, which comprises of 4x 2.3Ghz and 4x 1.8GHz Cortex-A53 CPUs. 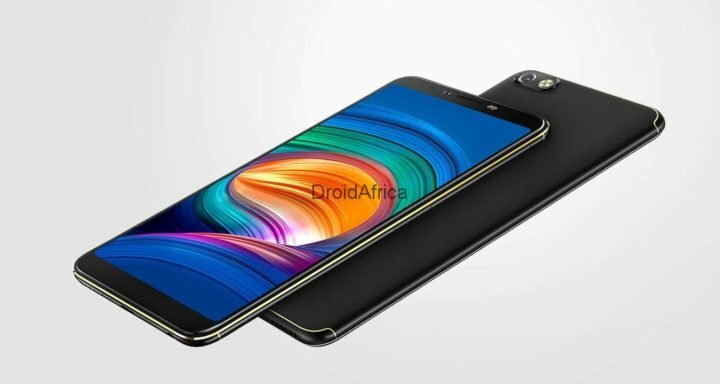 The CPU is backed up by a PowerVR GE8320 Graphic Processor, along with 4GB of RAM and 64GB internal storage, expandable upto 128GB via microSD card. 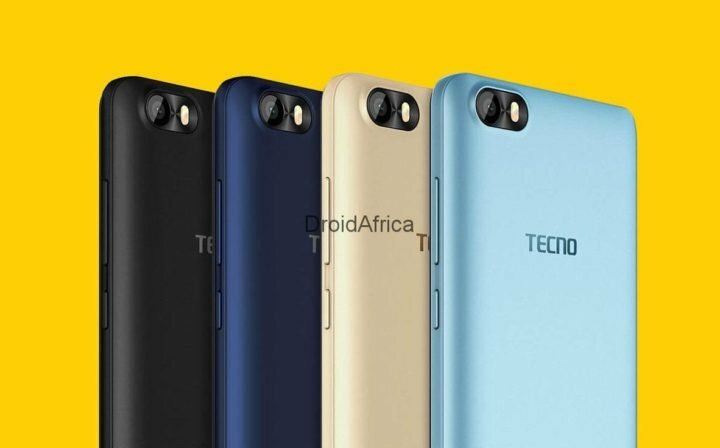 As for the camera department, you are getting a dual rear cameras, comprising of a 16MP main sensor and a 5MP secondary sensor. The main camera comes with 6 elements lens, featuring PDAF, HDR mode, and f/1.8 aperture. 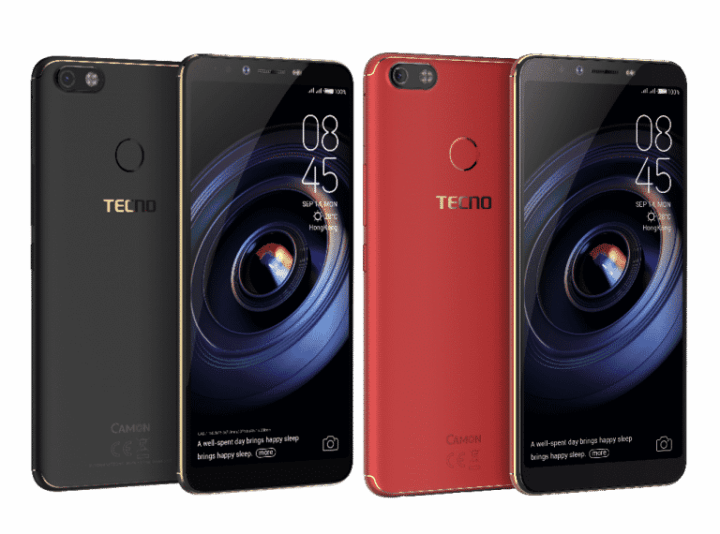 At the front, there’s a large 16-megapixel front-facing camera, with AI backed features. Interestingly, the UMiDIGI Power comes preloaded with stock Android 9.0 (Pie) out of the box. 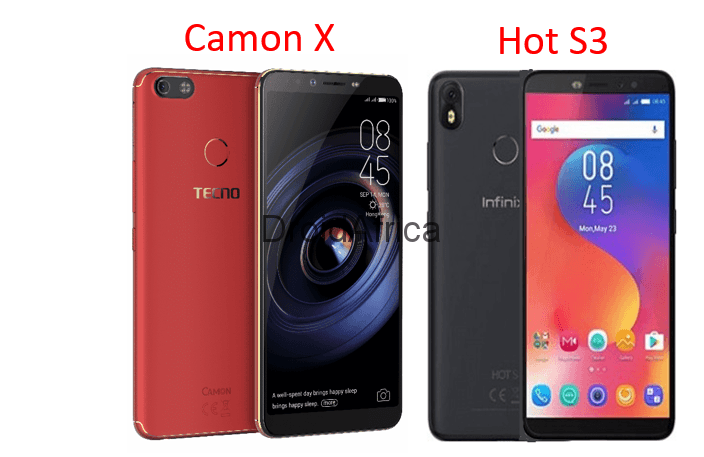 Adding to the AI features of the phone like FaceID, you are also getting NFC, a rear-mounted fingerprint scanner and dual SIM with Global LTE support. The device is fuelled by a large 5150mAh battery with support for 18W fast charging technology. The full specifications and key features of the UMiDIGI Power are detailed in the table below.